This dissolution vessel cleaner DVC-24 has been carefully designed to be the real alternative to the tedious and time-consuming job of cleaning dissolution vessels used in dissolution testers. It is offering an easy, fast, efficient and validated method for automatic cleaning dissolution vessels while preventing variability inherent to manual cleaning. It can be used in ANY brand dissolution Tester. Extra vacuum force is applied to remove cleaning agent and for drying vessel. 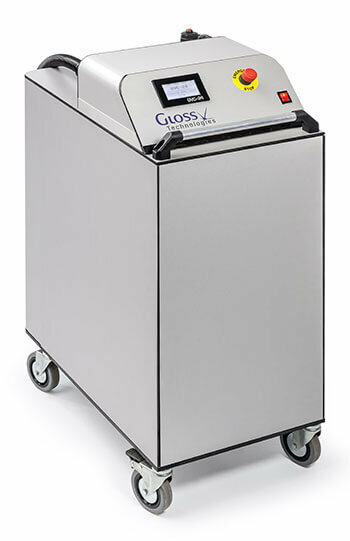 It’s lightweight, small and compact size, it is allowing laboratory staff to move easily the instrument for cleaning dissolution vessels in place at the dissolution tester. No special skills are required for operating the vessel cleaner. Comfortable use through touch-screen LCD let user to control all instrument functions. Versatile Dissolution Vessel Cleaner that can be used with all 1 liter USP dissolution vessels, as well as, optionally, for 2 liters and 500ml vessels, including plastic vessels. Typically only 18 – 20 seconds are needed to effectively clean one dissolution vessel. 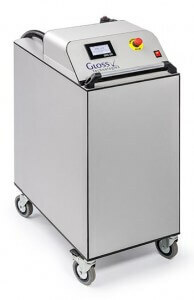 It is offering up to 24 consecutive cleaning cycles without need of emptying or reconditioning the unit. Therefore up to 4 Dissolution Testers (6 vessels) or 3 Dissolution Testers (8 vessels) or 2 Dissolution Testers (12 vessels configuration) can be effectively cleaned in less than 10 minutes operation time. On-site cleaning makes unnecessary vessel removal, avoiding vessels repositioning, breakage and recalibration. Neutralizing solution can be added optionally for dissolution media waste pre-treatment. Offers a homogeneous vessel cleaning. Only few quantity of water is used, typically 40 ml depending on method used. Customized methods can be programmed after User Method Cleaning Validation performance.